Coogan explains the differences between the Bible of Jewish tradition (the "Hebrew Bible") and the Old Testament of Christianity, and also examines the different contents of the Bibles used by Roman Catholics, Eastern Orthodox Christians, and Protestants. He looks at the rise of modern biblical scholarship as well as the recovery of ancient Near Eastern literatures and their significance for biblical interpretation. Coogan explores the use of invented dialogue and historical fiction in the Old Testament, the presence of mythic elements in apparently historical accounts, and the relationship of ancient Israelite myths to those of their neighbors. The audiobook considers the Old Testament's idea of divine justice, especially in Ecclesiastes and Job, and looks at notions of the afterlife in the ancient Near East and in ancient Israel. 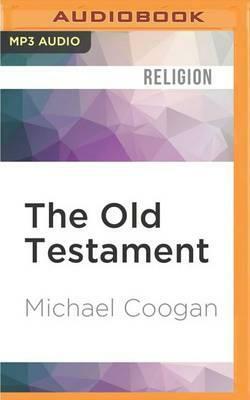 Coogan highlights the significance of the history and literature of the Old Testament and describes how non-biblical evidence, such as archaeological data and texts, has placed the Old Testament in a larger and more illuminating context. The audiobook also discusses law and ritual in the Bible as well as the biblical understandings of prophecy. Here then is a marvelous overview of one of the great pillars of Western religion and culture, a book whose significance has endured for thousands of years and which remains vitally important today for Jews, Christians, and Muslims worldwide. About the Series: Combining authority with wit, accessibility, and style, Very Short Introductions offer an introduction to some of life's most interesting topics. Produced by experts for the newcomer, they demonstrate the finest contemporary thinking about the central problems and issues in hundreds of key topics, from philosophy to Freud, quantum theory to Islam.